Amish people live and worship in many states. 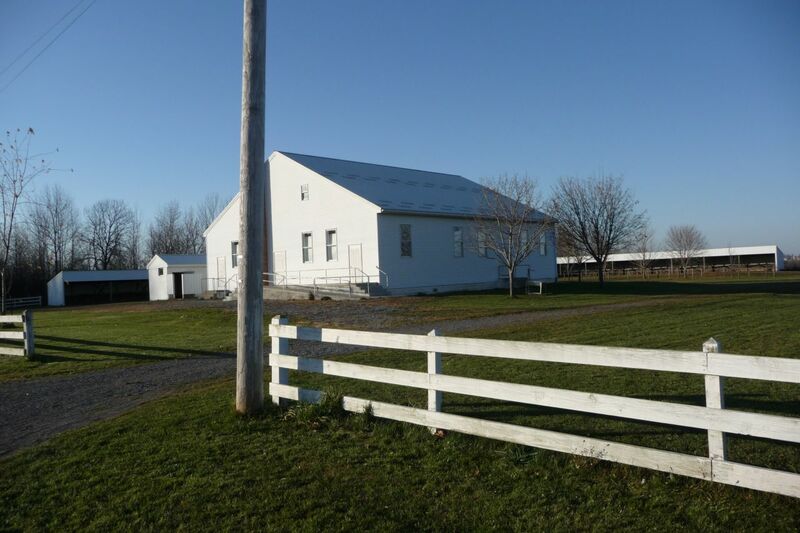 There are several communities near here that have Amish worship houses – actually their own homes that are opened up to their friends and neighbors for the Sabbath. The Amish are a group of Christian church fellowships. They are known for simple lifestyles, plain dress, and eschew conveniences of modern technology. The Amish church began with a split in Switzerland within a group of Anabaptists in 1693; their leader was Jakob Ammann and his followers became known as Amish. In the early 18th century, many Amish emigrated to Pennsylvania and then spread to other parts of the country. Most of the traditional descendants of the Amish continue to speak “Pennsylvania German” or “Pennsylvania Dutch.” A Swiss German can be found in some “Old Order” Amish communities, especially in Indiana. Estimates suggest that about 250,000 Old Order Amish live in the United States. Membership begins with baptism as a young person reaches adulthood (between 15 and 20). It is a requirement for marriage that the should only marry within the Amish faith. Church “districts” average between 20 and 40 families, and worship services are held every other Sunday in a member’s home. There are no church buildings per se. The district is led by a bishop and several men are appointed ministers or deacons. The “rules” – the Ordnung, must be observed by all the members. These rules cover many aspects life, including the use of electricity, telephones, and automobiles, and types of clothing. Many Amish church members do not buy insurance or accept government assistance. Amish church members are “pacifists” and will not serve in the military. Be open to the way God is at work, look for God’s invitation, and then respond to that invitation and you will discover a spiritual adventure in your life. This entry was posted in Coach's Blog, denny meyer, life coach, sabbath, Sonrise Coach, Spiritual Coach - Denny Meyer, spiritual coaching and tagged Amish, coach denny meyer, denny meyer, Indiana, pastor dennis meyer, Shipshewanna, spiritual coach, spiritual coaching. Bookmark the permalink.